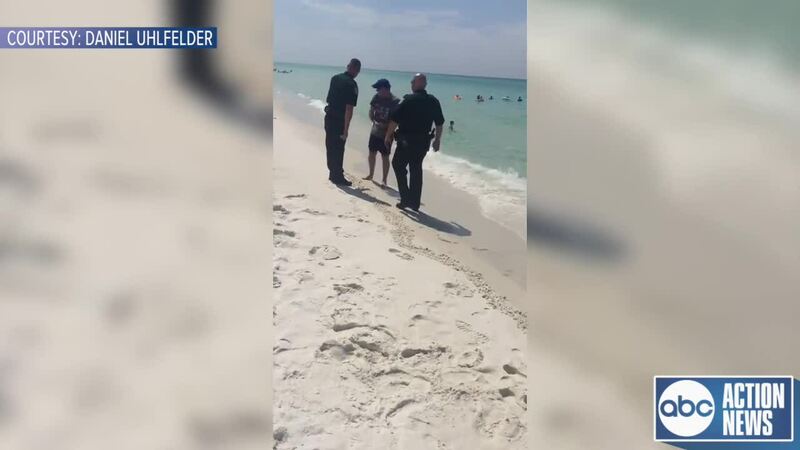 SANTA ROSA BEACH, Fla. — A Walton County man tells ABC Action News, a private property owner called deputies on him two days in a row for sitting on a stretch of sand outside Vizcaya Dune Allen, a gated community on Santa Rosa Beach. “I have a right to go to the beach. I have a right to sit peacefully and enjoy the beach. Enjoy our beautiful waters. And, I have the right to not be disturbed when I’m not doing anything wrong,” Daniel Uhlfelder told ABC Action News reporter Michael Paluska. Uhlfelder said he’s gone to that same beach numerous times over the past 18 years and never had a problem. He said the passing of HB 631 allows private property owners to call law enforcement and force people towards the mean high water line. In both videos, deputies with the Walton County Sheriff’s Office politely worked to find a solution that didn’t end with Uhlfelder getting arrested. Uhlfelder telling us he couldn’t believe they even showed up. Because of some confusion regarding the interpretation of the law, Gov. 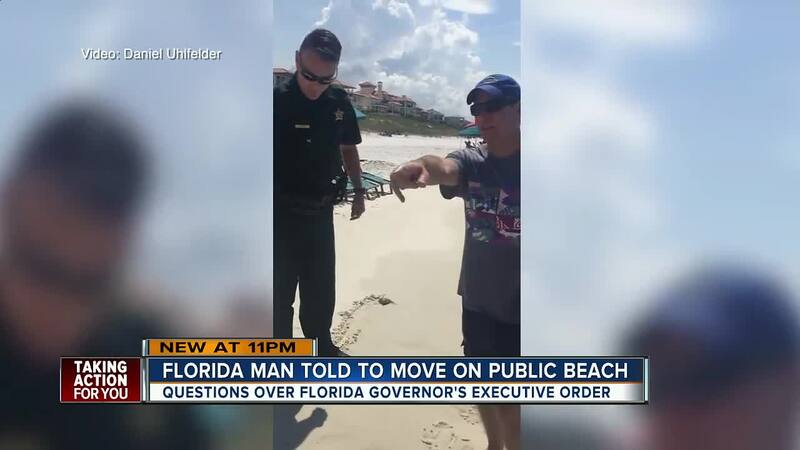 Rick Scott issued Executive Order 18-202 urging counties to protect public beach access and directs the Department of Environmental Protection to support the efforts. Uhlfelder said he took a copy of the order with him to the beach on Saturday and Sunday. Walton County Sheriff Michael Adkinson, Jr. says his deputies shouldn’t be made out to be the bad guys. They were just enforcing the law. “It (HB 631) nullified one ordinance in the state of Florida that was the ordinance in Walton County,” Adkinson said. Adkinson said until the county commissioners can find a solution to the problem, state law supersedes that laws already on the books. “I understand their passion. The problem is this issue needs to resolve in the court of law or the Florida legislature,” Adkinson said. We called several popular beach communities across the Tampa Bay Area. Law enforcement tells us they are not having issues with private properties owners calling to report people are trespassing on the beach. Most Bay Area beach towns have passed ordinances making sure the beaches stay open to the public. “They should call a special session of the legislature to repeal the law, and the governor has that authority to call for a special session to repeal this law. Because this law is, bad law,” Uhlfelder said.